Choose this classic Early American Reproduction Wood Chandelier Model CH109 from Hammerworks for your dining room!. Available in two sizes, these Colonial Wooden Chandeliers feature graceful sweeping arms. In addition, while shown on this page in both dark and light hardwood stained finish, you can choose from several other paint or stain colors. Furthermore, you have a choice of either antique tin or antique brass arms, chain & ceiling canopy for your Country Wooden Chandelier. Of course, if you need more than the standard two feet of chain we provide, you can order extra for a small additional charge. 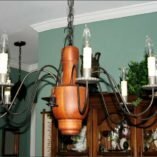 Certainly, any vintage wood chandelier you choose is truly a custom one of a kind rustic style light. No matter what, 40 years experience is a testament to our enduring quality. Also of note, our Wooden Chandeliers are handmade using the wood turning techniques of the original craftsman. Consequently, you will receive an heirloom quality chandelier to enjoy for years to come. 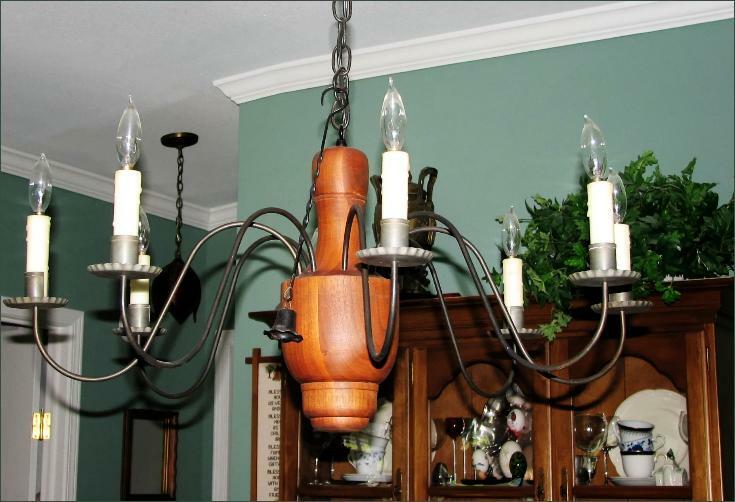 Of course not only for the dining room, these primitive chandeliers are suitable for any room in your home. Also, since many have similar designs, you can easily mix and match different models within an open concept area. 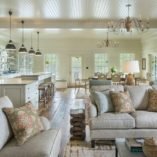 Perhaps you have an antique Colonial home with low ceilings? If so, take a look at our collection of Colonial ceiling Lights. 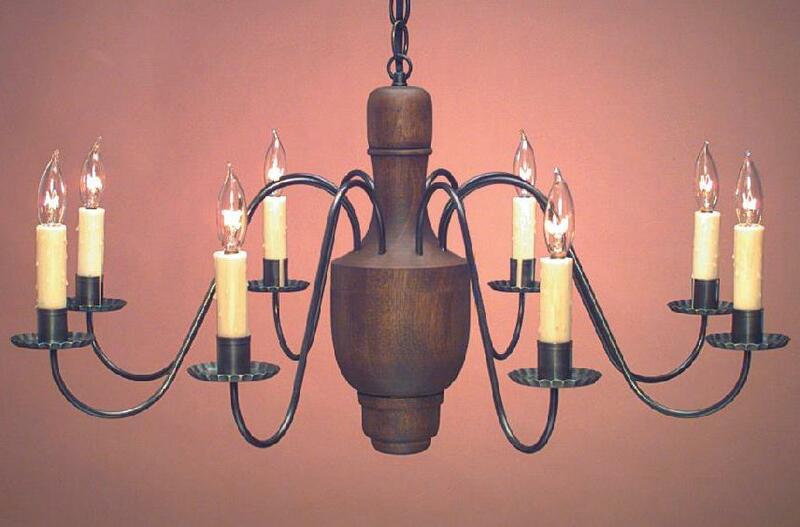 Available in several finish options, they complement any of the Early American Wood Chandeliers nicely. 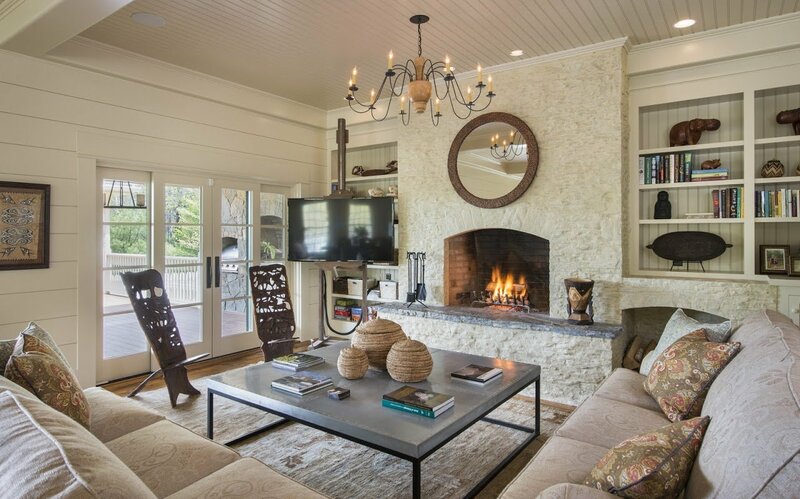 Most of all, the Punched Tin Ceiling Lights are a charming light to consider. Browse our website to find your favorite style and finish option. This photo shows the Model CH109A with 10 Antique Tin Arms, finished in Light Stain. 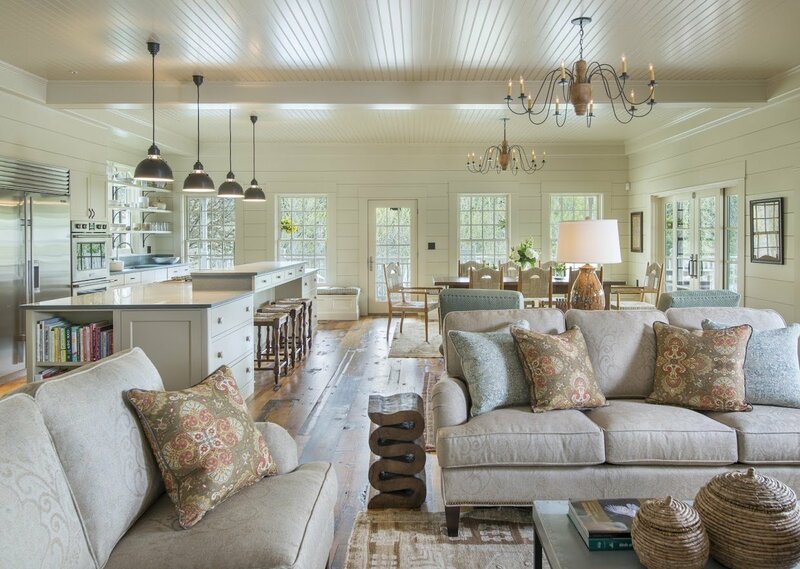 Sargent Design Co in Norwich, VT used 3 of these classic wooden body chandeliers in the great room of a Vermont Country Home.